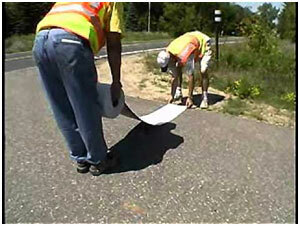 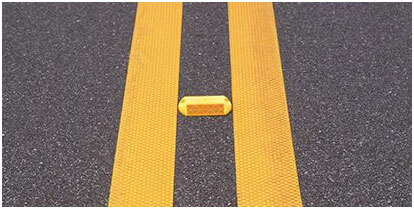 Roadway Surface Markings are used on many paved roadways to provide drivers and pedestrians with guidance and navigational information. 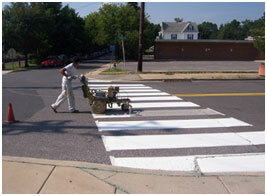 Markings are utilized to minimize confusion and to increase safety for everyone involved. 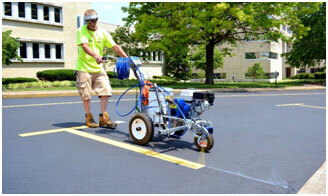 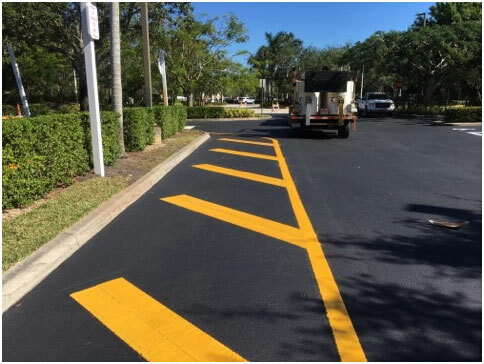 COD Asphalt also provides Theremoplastic Markings as well as Traditional Roadway Markings applied with DOT Approved Traffic Paints. 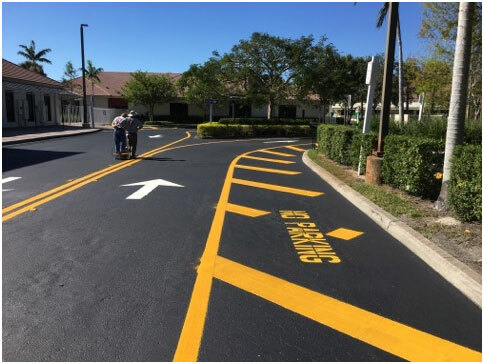 Thermoplastic Markings are a plastic material, a polymer, that becomes pliable or moldable above a specific temperature and solidifies upon cooling. 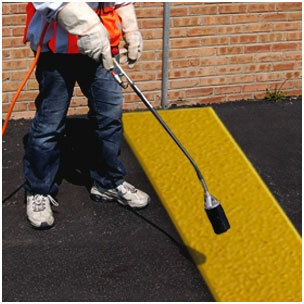 Most thermoplastics have a high molecular weight. 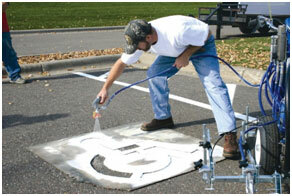 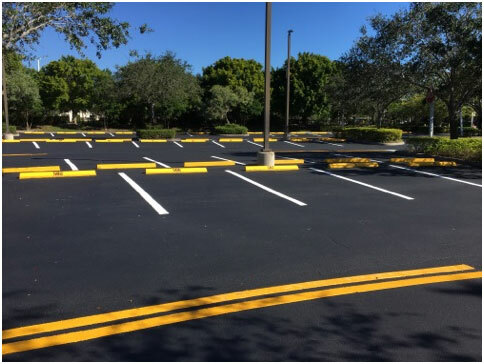 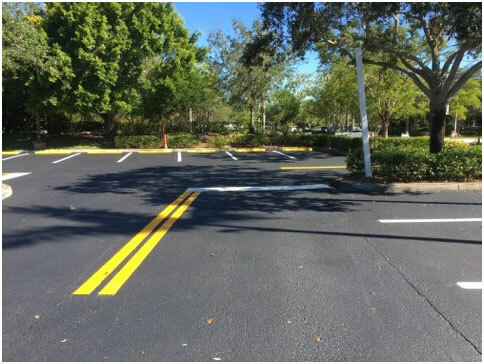 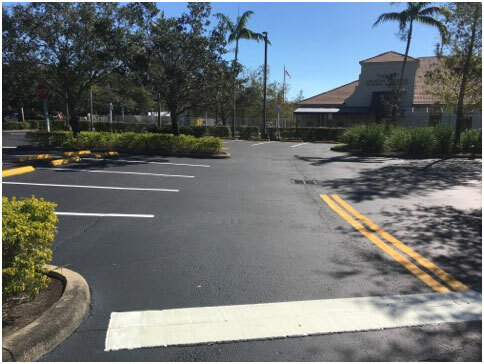 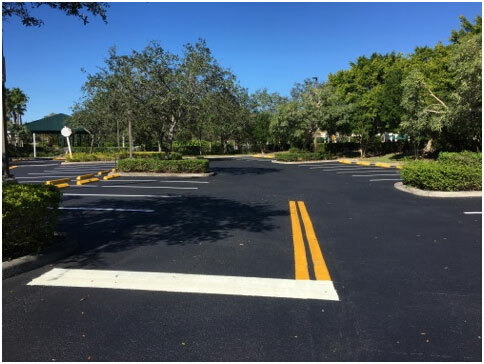 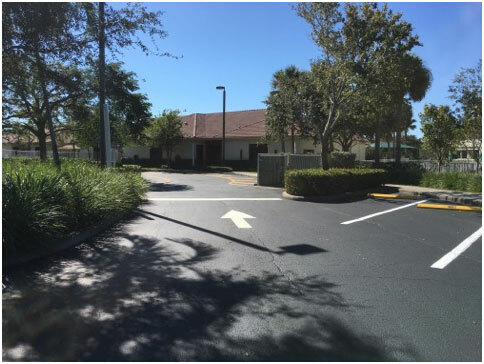 Thermoplastic Markings are required by some cities for “Specific” types of markings such as for Stop Bars and Arrows where parking lots, private roadways of certain roadways are meeting major roadways with heavy traffic.